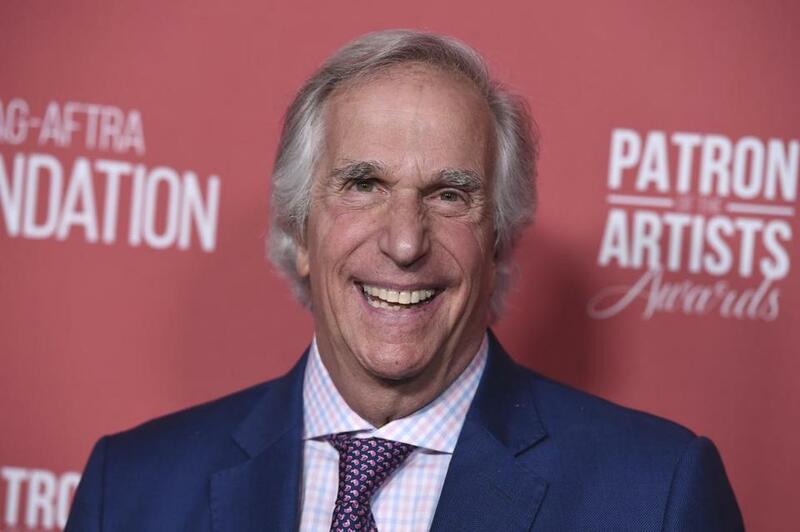 Best known as Arthur Fonzarelli, Henry Winkler might have “jumped the shark” twice (first on “Happy Days,” then on “Arrested Development”), but at 73 he’s sticking the landing. After four previous nominations, Winkler finally brought home an Emmy last year for his performance in HBO’s darkly comedic “Barry.” And while the Emerson College alum is ecstatic about his win, he’s even more excited about finishing the final installmentin his successful children’s book series, which follows the misadventures of Hank Zipzer, a bright boy with dyslexia. Winkler launched the series in 2003, after his agent encouraged him to write about his experiences growing up dyslexic. Sixteen years and 29 books later, Penguin is publishing “Here’s Hank: Everybody is Somebody” on Jan. 29. What have you been up to in the new year? We did “Barry.” We finished the second season. I then flew to a small town in the Cognac area of France, and for 12 days I got to be in Wes Anderson’s new movie [“The French Dispatch’’]. Your author bio says the thing you’re the most proud of is writing the Hank Zipzer books alongside Lin Oliver. Is that still true now that you’ve won an Emmy? I think that is true because it is something I never thought I could do. I was so convinced, because of my learning challenges and school experience [that I couldn’t do it]. When you’re younger and you hear that you’re probably not going to achieve [anything], that becomes your mantra. So these books, the entire focus — aside from making the child or whomever is reading it laugh — is how you learn has nothing to do with how brilliant you are. A lot of people say, “Well, I use [my Emmy] as a doorstop.” Some people say it’s in the bathroom. My Emmy is on the dining room table, which is across from the front door. Because for me, I love seeing it every day I come home. I love that I won. But I actually won because I was 27 when I got the Fonz and I was 72 when I got “Barry,’’ and I’m still here. I’m still enjoying the very thing I dreamed about when I was 7. What’s the most interesting thing you’ve learned while writing the series? Here’s one thing that I know. Now, where there’s a will there’s a way. That thing that is needle-pointed on pillows on so many couches, that phrase exists for a reason. It’s not just a pretty phrase. It’s the truth. I did not read a novel until I was 31 years old. I thought I couldn’t do it. I thought it was overwhelming. My eyes couldn’t track the page. And I have every novel that I have read on my shelf in hardcover because each one of them is a triumph to me. Hank is “the world’s greatest underachiever.” What do you think a character like him means to a generation of kids faced with so much pressure to succeed? One out of five children have some sort of learning challenge. We deny so much potential because they don’t do well in school. It makes me frustrated. That’s why I go out and talk about it. And we write about it. Henry Winkler reads from “Here’s Hank: Everybody is Somebody” at 6:30 p.m. Thursday at An Unlikely Story, 111 South St., Plainville. The interview was condensed for space and edited for clarity. Jenni Todd can be reached at jenni.todd@globe.com.